Brigham Young University's Virtual Scriptures group has developed an app for taking a virtual tour of Jerusalem at the time of Jesus Christ. This Easter, explore Jesus Christ's Jerusalem, walk through Herod's temple, discover the pools of Bethesda, and more, all from your computer or smartphone. Download the app now for an immersive scriptural experience. The Virtual Scriptures New Testament will ultimately be incorporated into Book of Mormon Central's developing Interactive Scriptures App. This app will take the text of the Book of Mormon, and make it completely interactive and immersive. When Was Jesus Christ Actually Crucified? Why Was Christ's Appearance to the Nephites the Focal Point of the Book of Mormon? 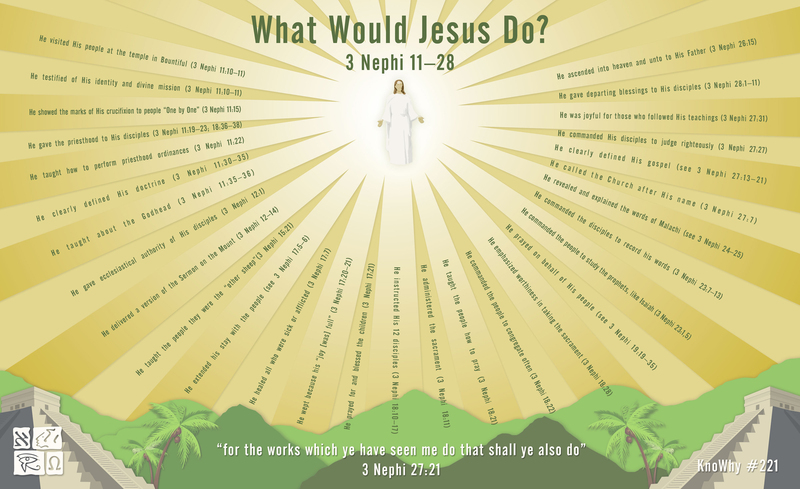 What Would Jesus Do? And Why Should We Do It? Why Was Christ's Time with the Nephites the Crown Jewel of the Book of Mormon? Why Did Jesus Minister to the People One by One? What Did Christ's Resurrected Body Mean to the Nephites?